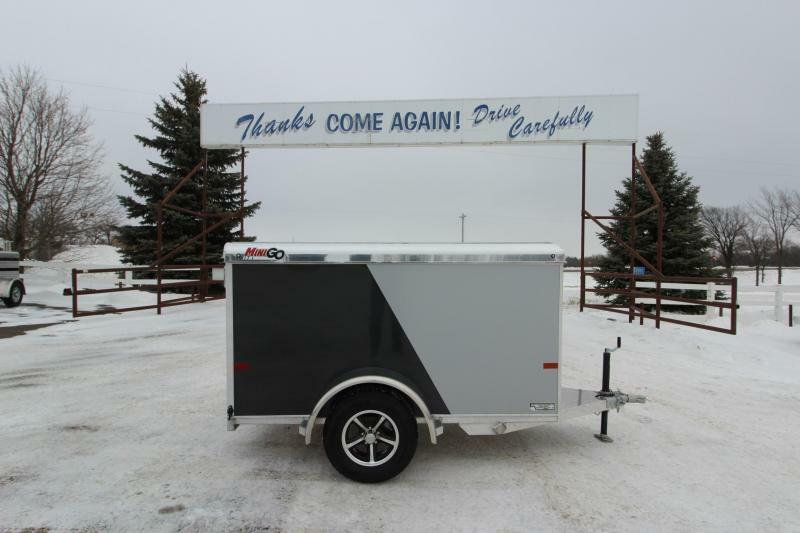 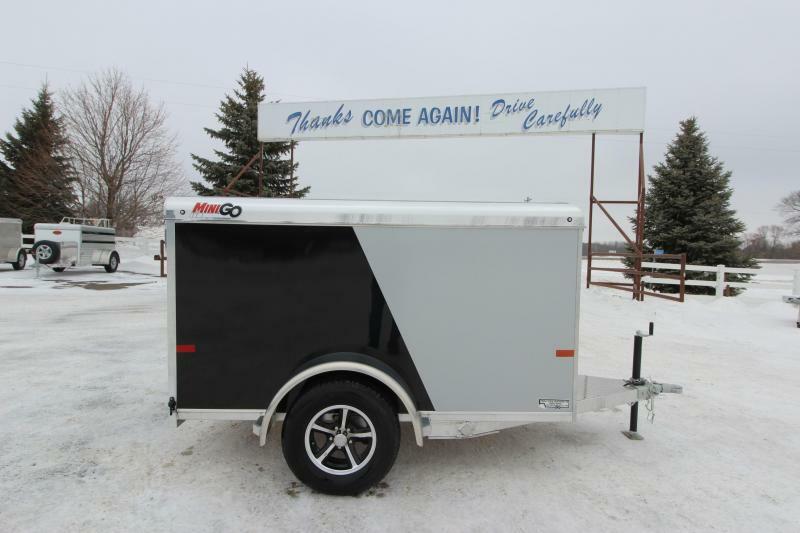 2019 BRAVO SCOUT 5X8 ENCLOSED CARGO TRAILER 5X8 with 3/4" Drymax floor, 3/8" Drymax walls, single rear door, flat front with rounded corners, 2" coupler, ST205/75R15 LRC on Silver mod wheels and LED lighting interior and exterior. 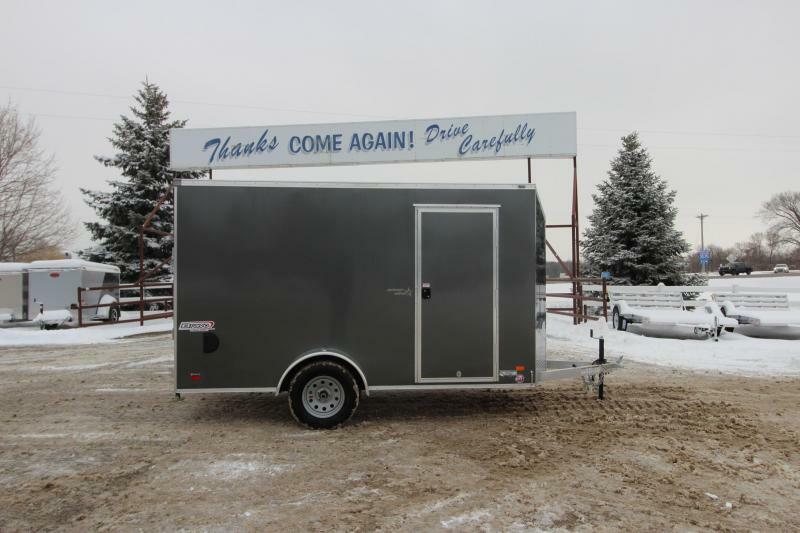 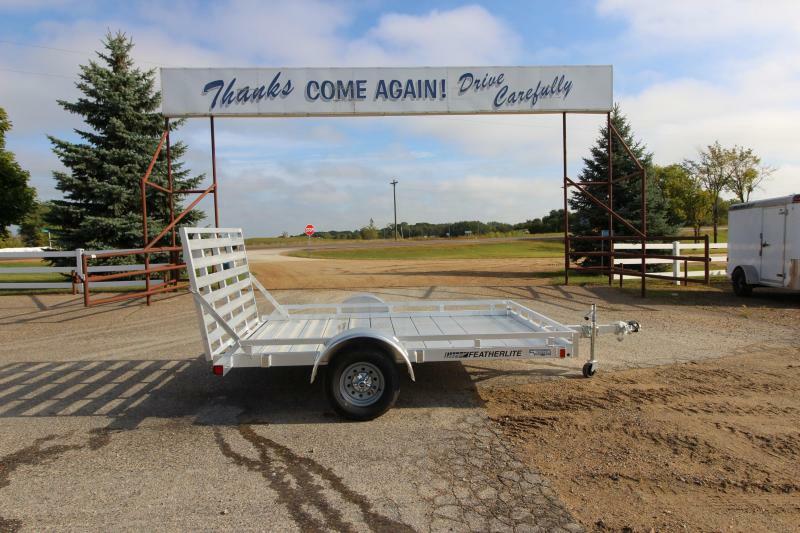 2017 FEATHERLITE 10' BP UTILITY TRAILER 6'6" X 10' Trailer with aluminum deck, 44" X 76" rear ramp, side and front rails, eight stake pockets, tongue jack with wheel and 2" coupler. 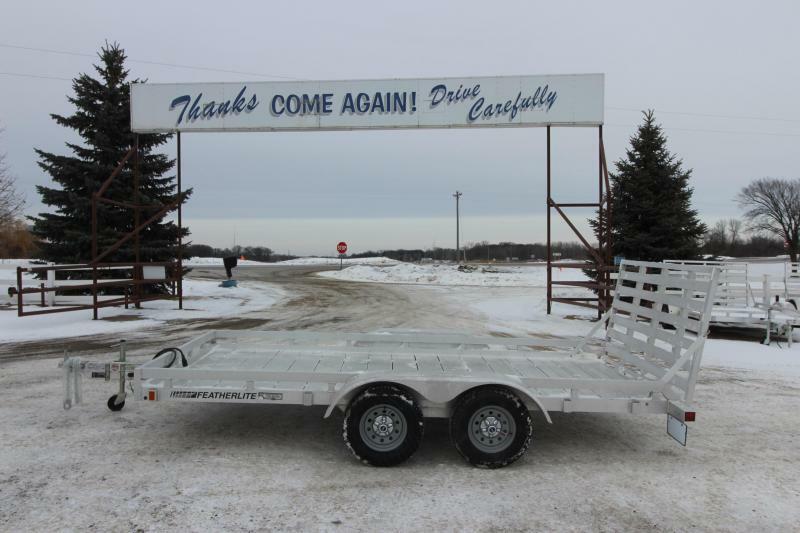 2017 FEATHERLITE 10' BP UTILITY TRAILER 6'6" X 10' Trailer with aluminum deck, 44" X 76" rear ramp, side and front rails, tongue jack with wheel and 2" coupler. 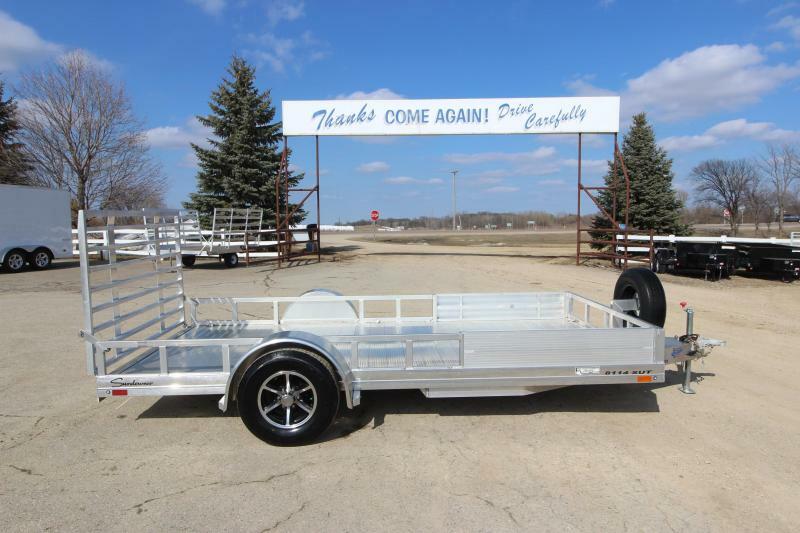 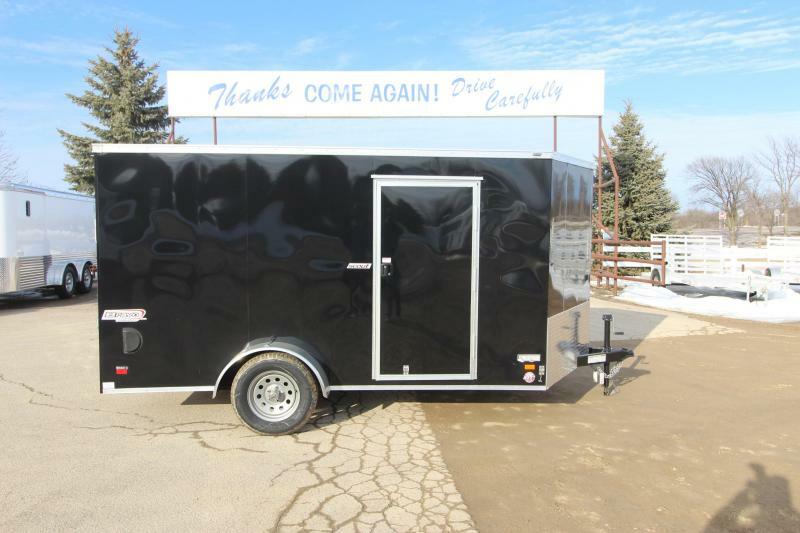 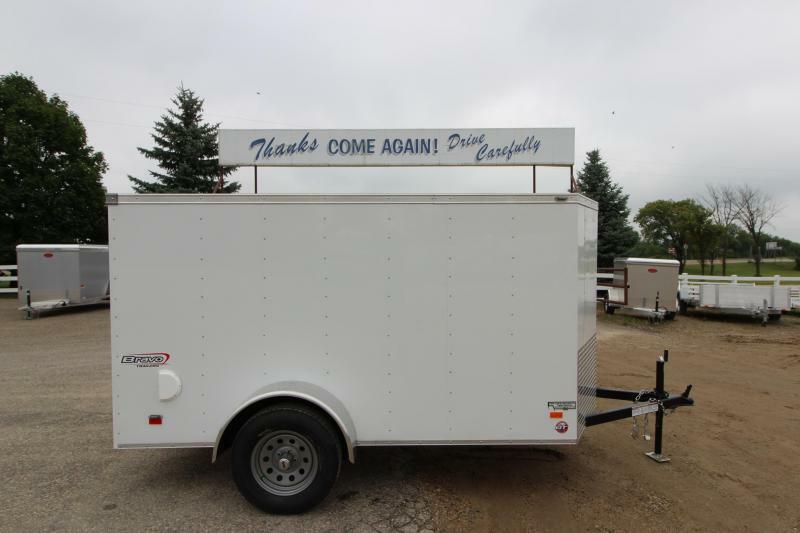 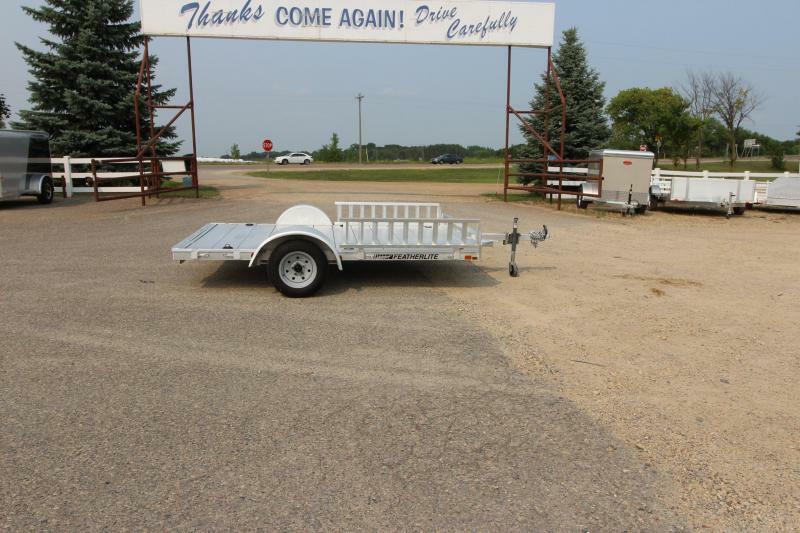 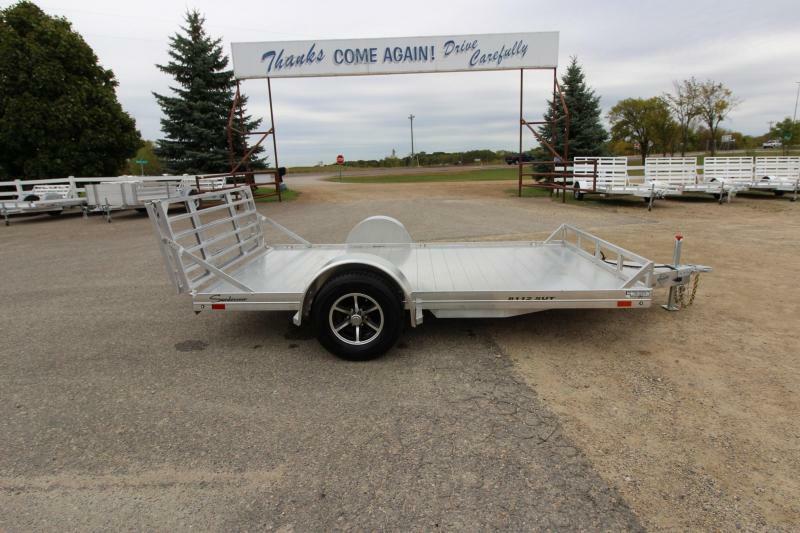 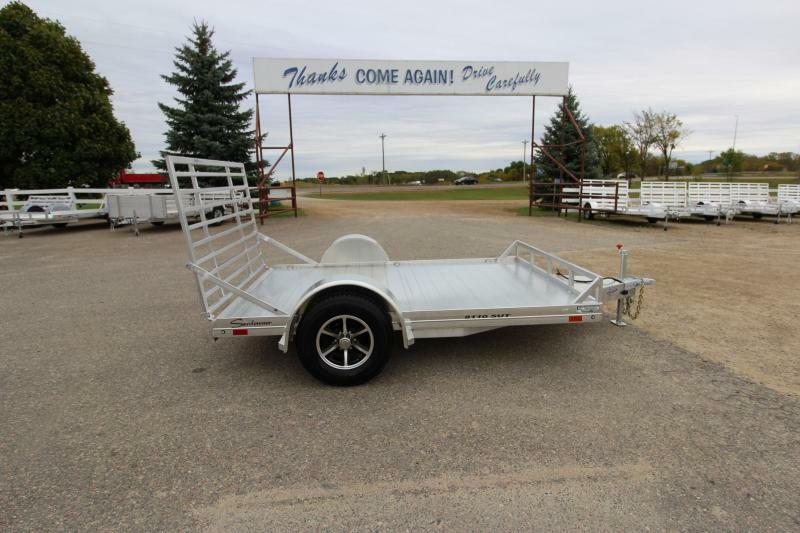 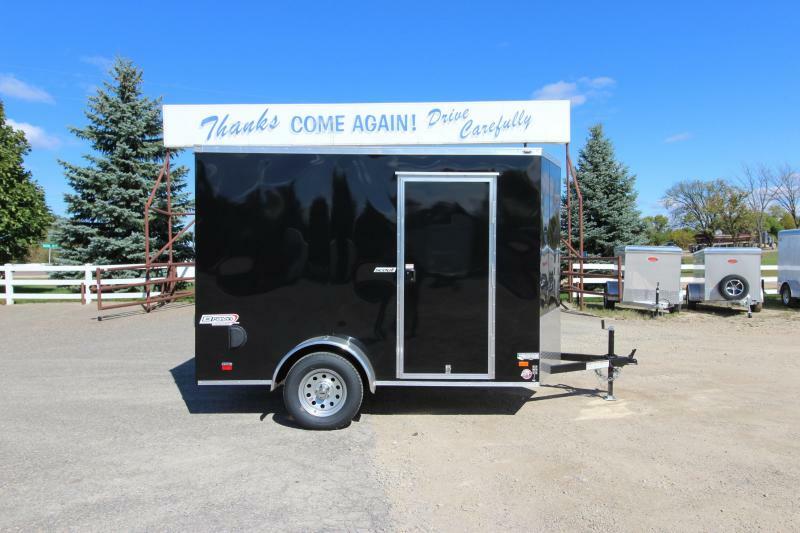 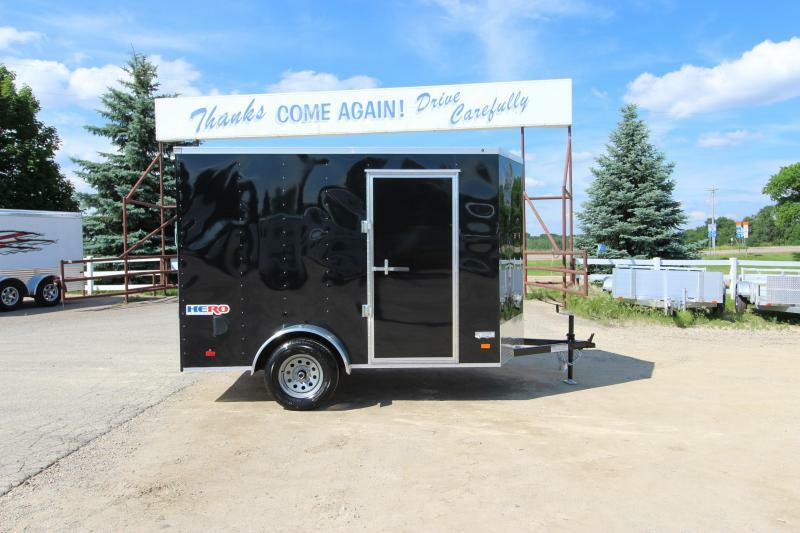 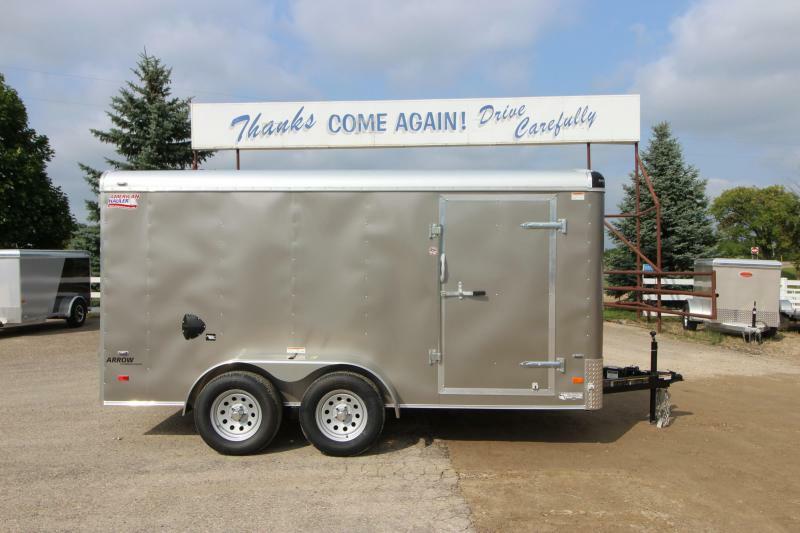 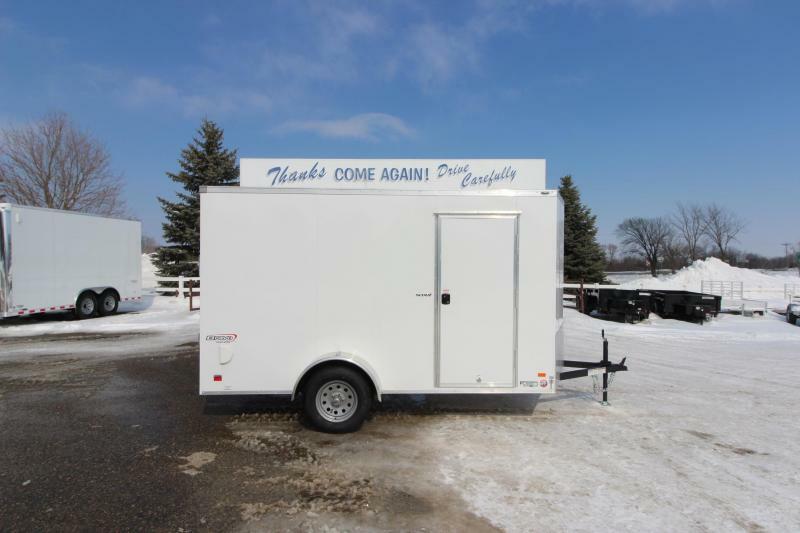 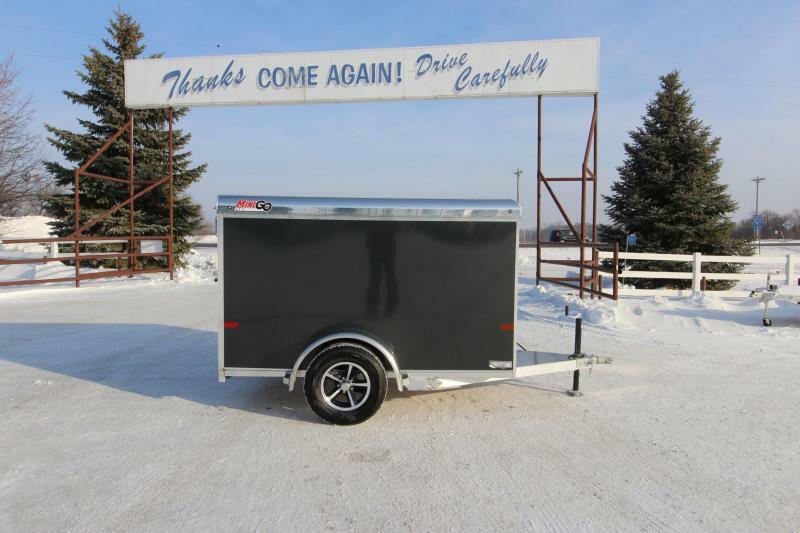 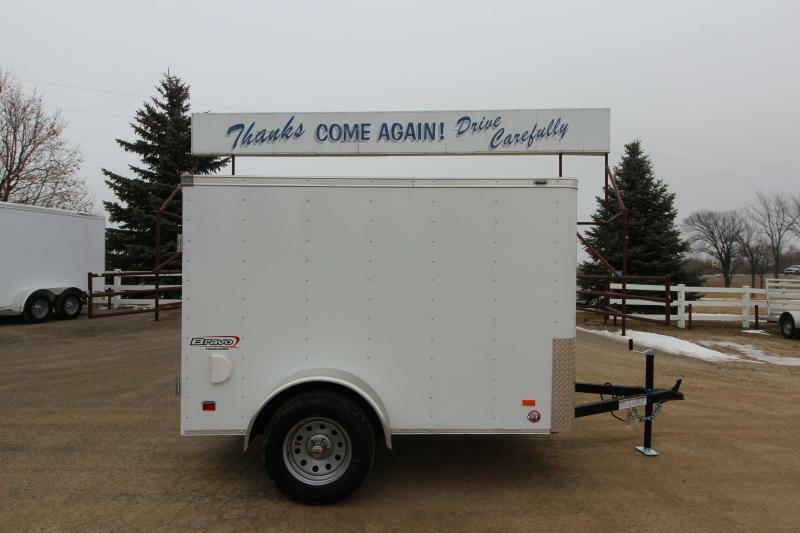 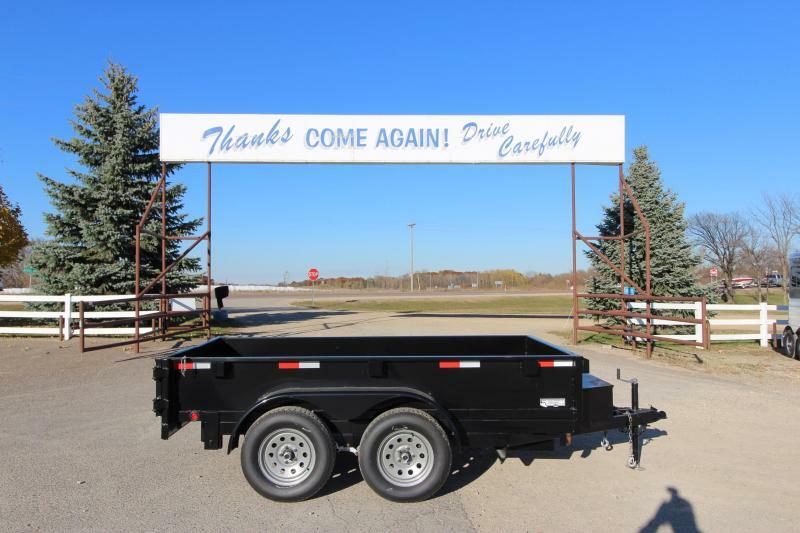 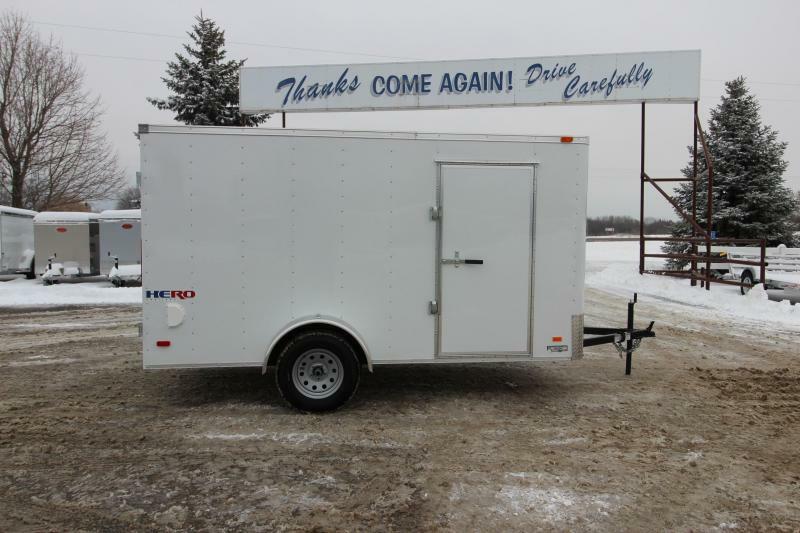 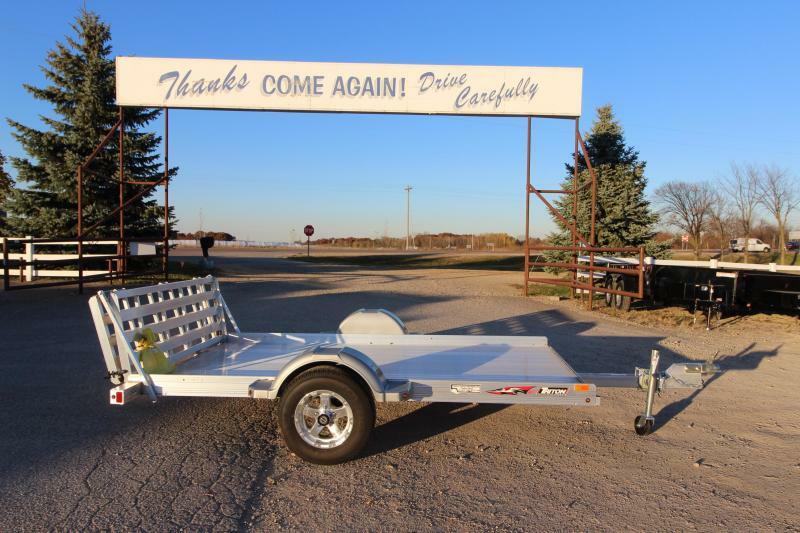 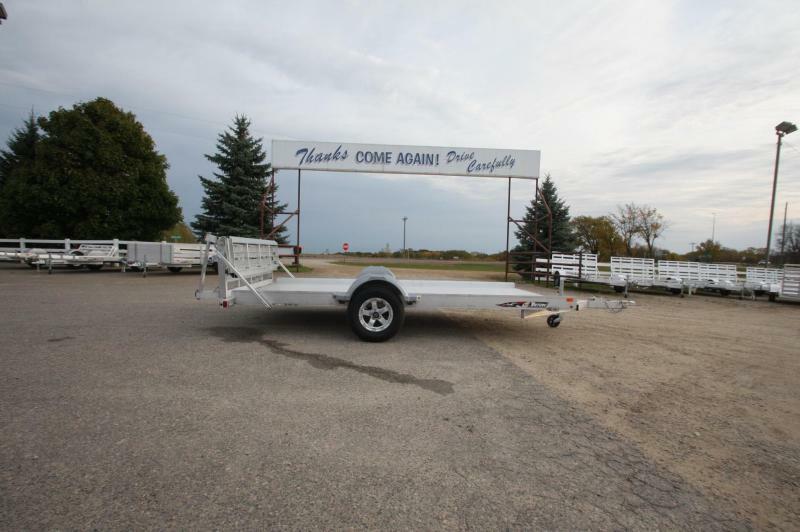 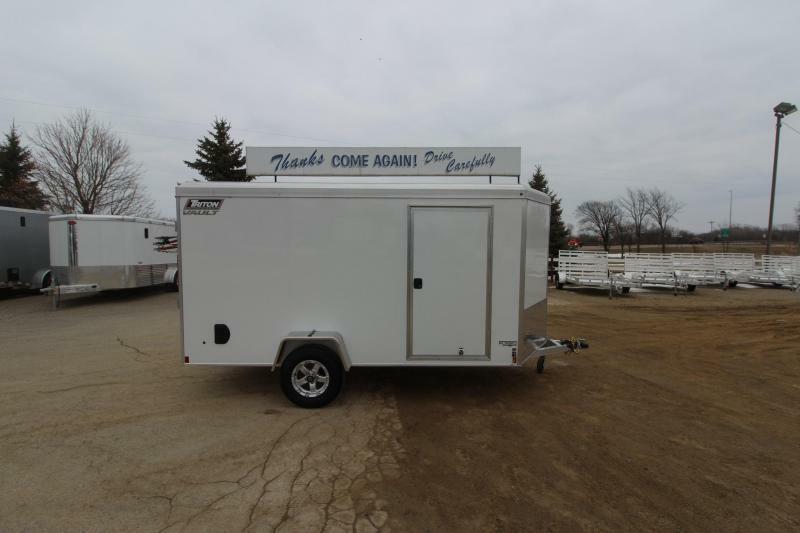 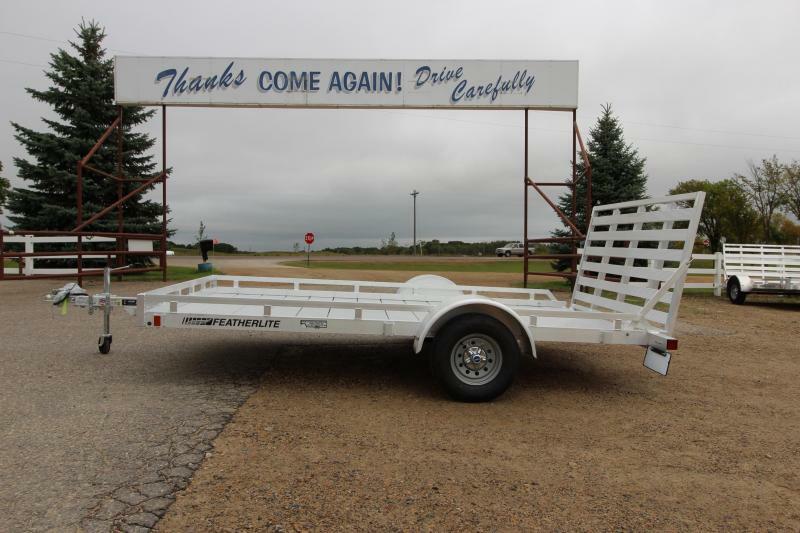 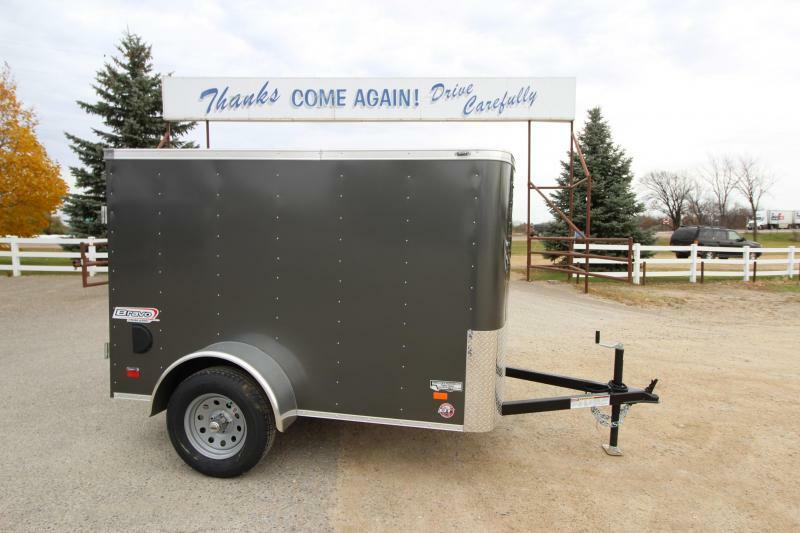 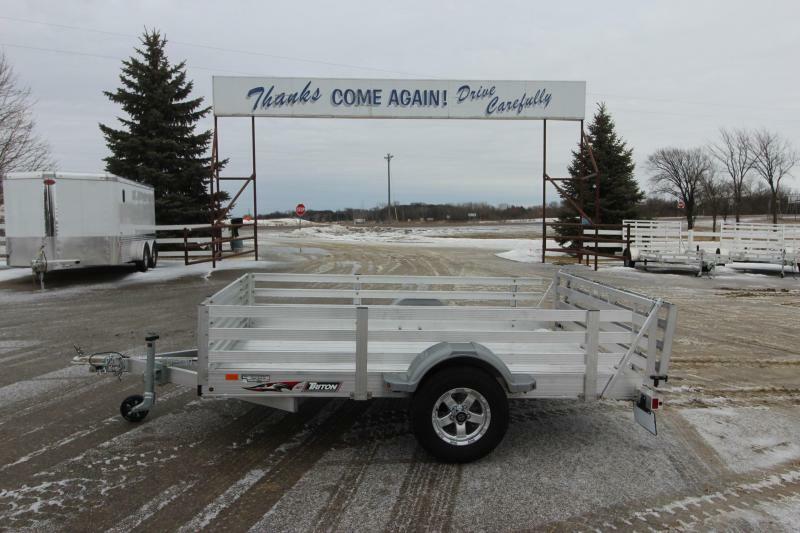 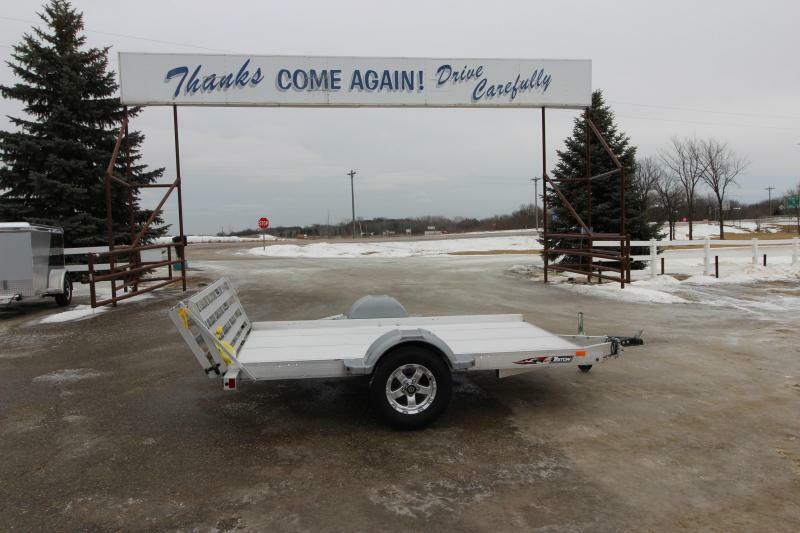 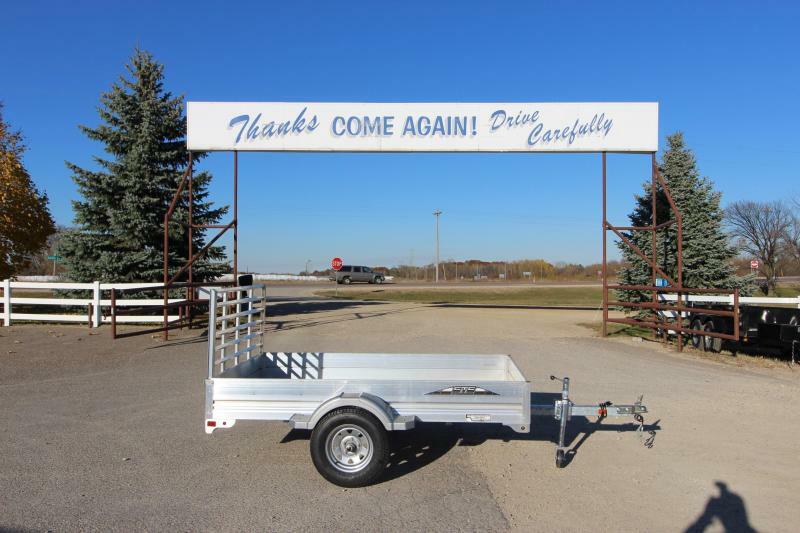 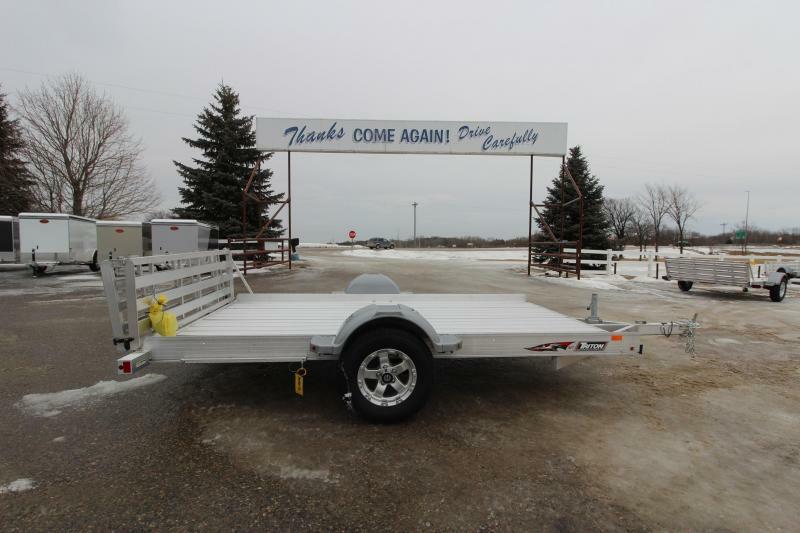 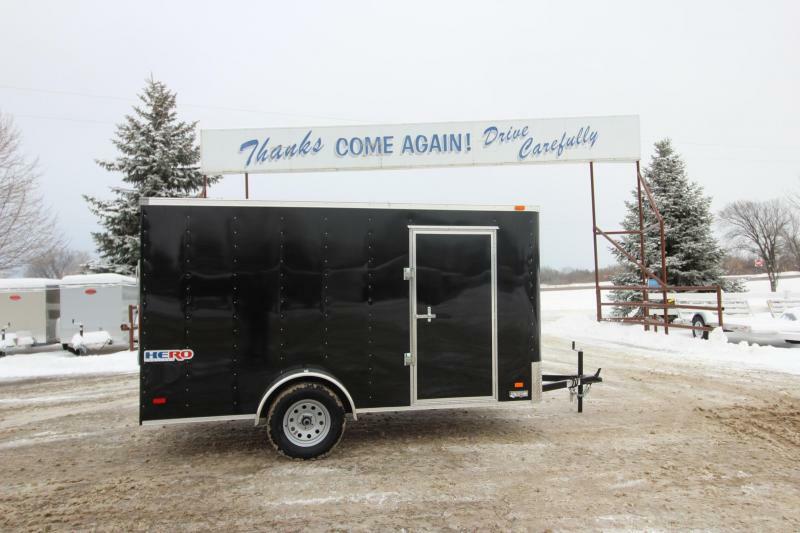 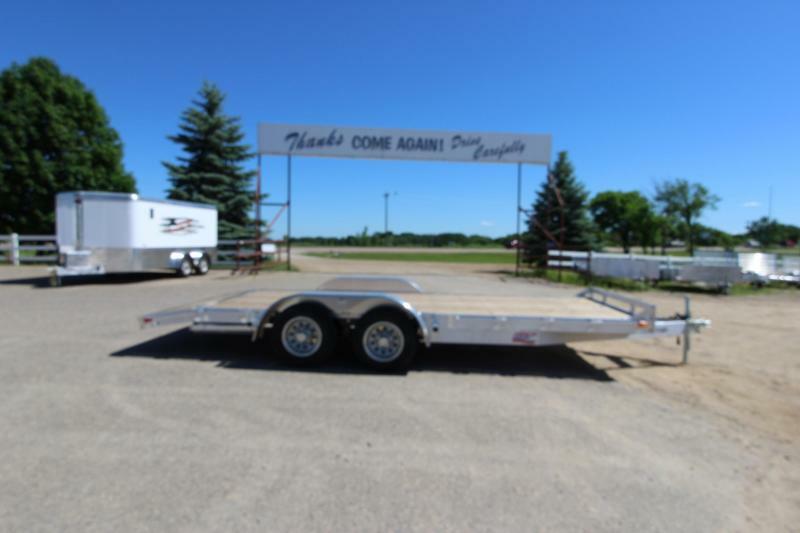 2018 FEATHERLITE 10' BP UTILITY TRAILER 6'6" X 10' Trailer with aluminum deck, 44" X 76" rear ramp, side and front rails, eight stake pockets tongue jack with wheel and 2" coupler. 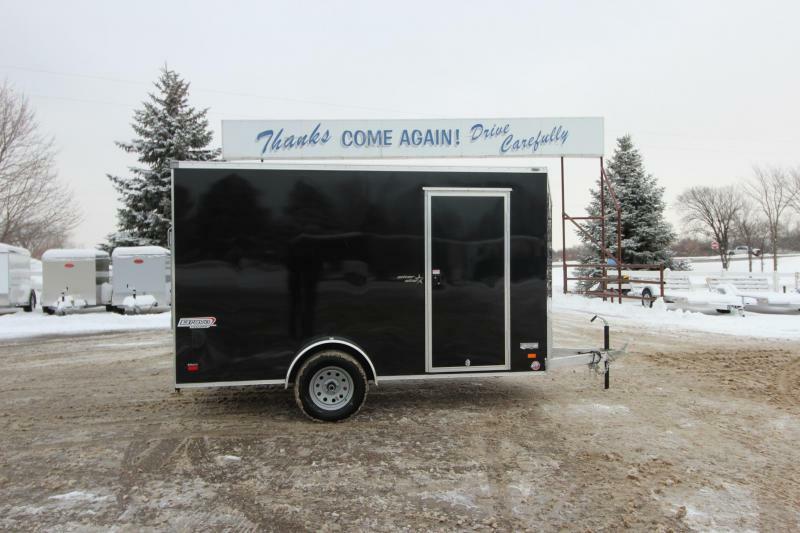 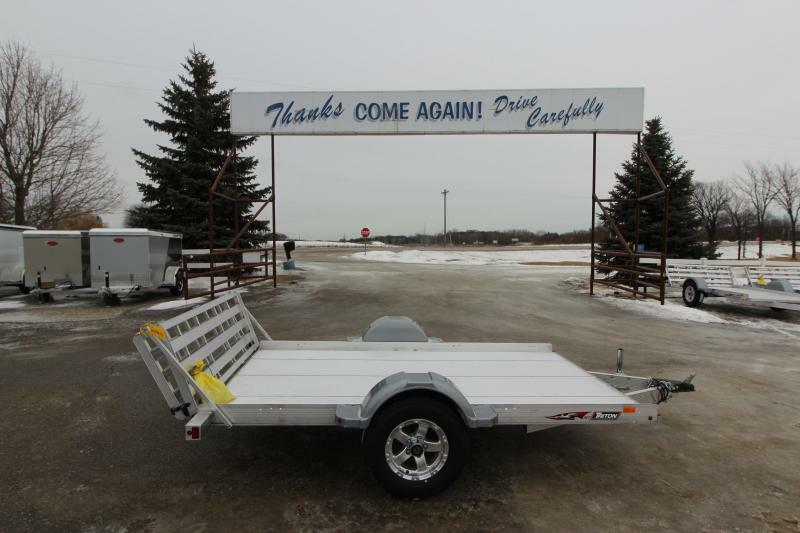 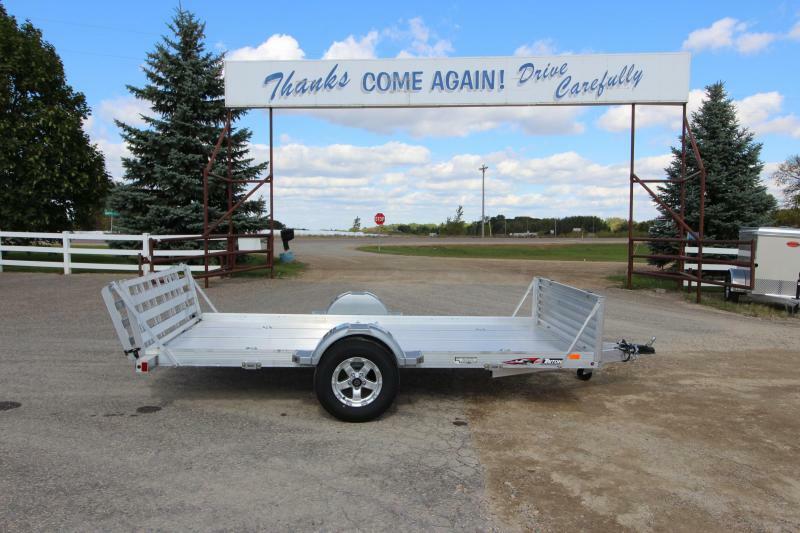 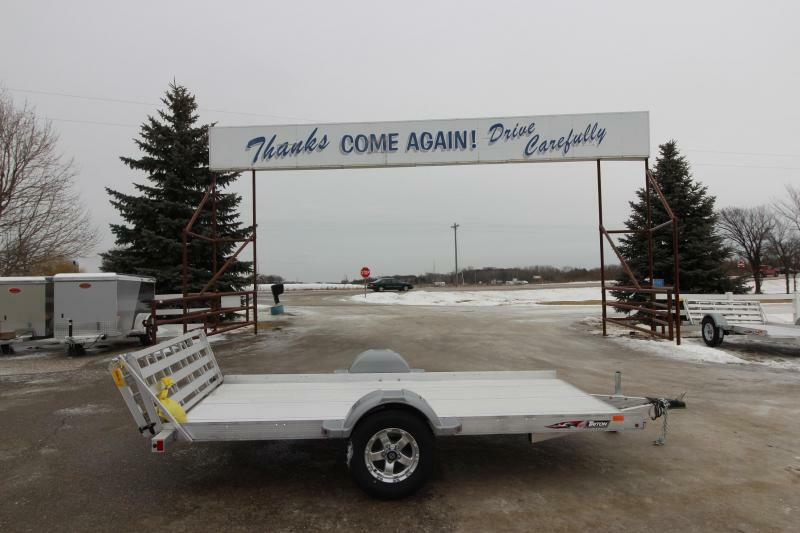 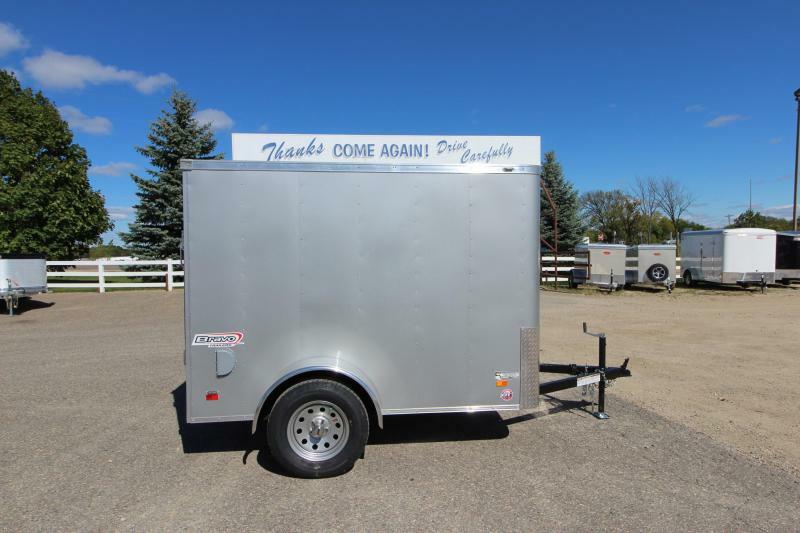 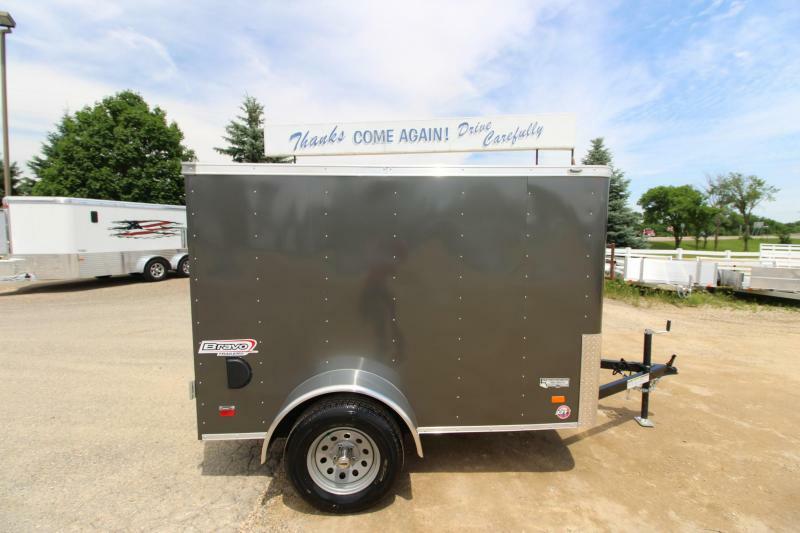 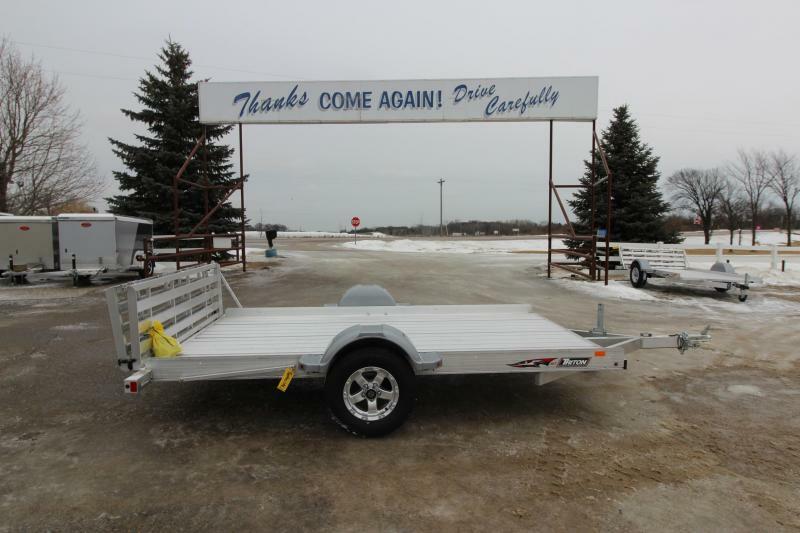 2018 FEATHERLITE 12' BP UTILITY TRAILER 6'6" X 12' Trailer with aluminum deck, 44" X 76" rear ramp, side and front rails, eight stake pockets, tongue jack with wheel and 2" coupler. 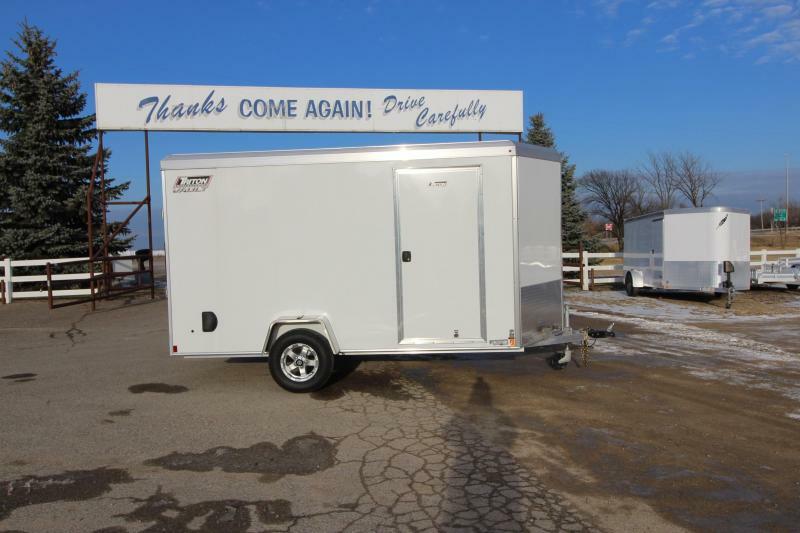 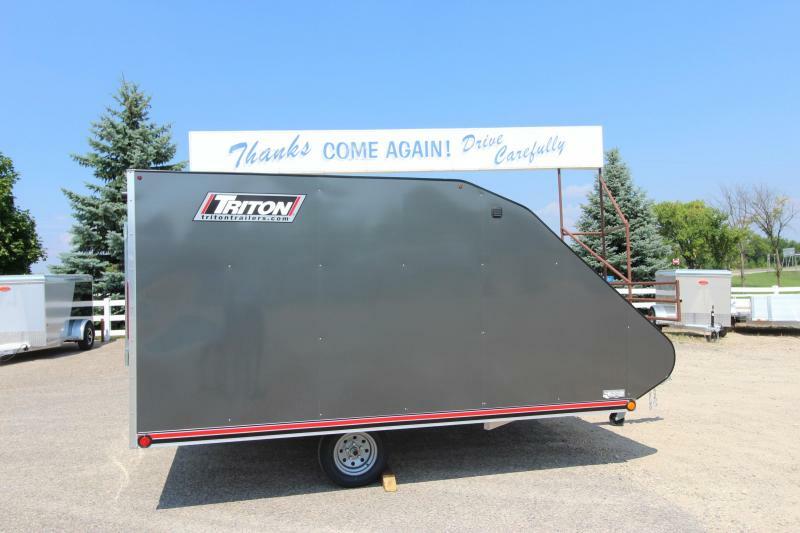 2018 TRITON AUT1482 UTILITY TRAILER 6'10" X 14' deck with bi-fold rear ramp and aluminum wheels. 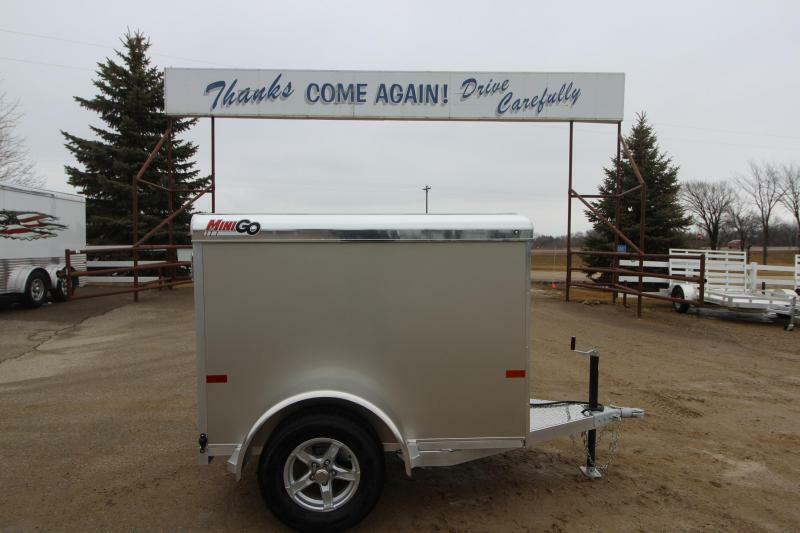 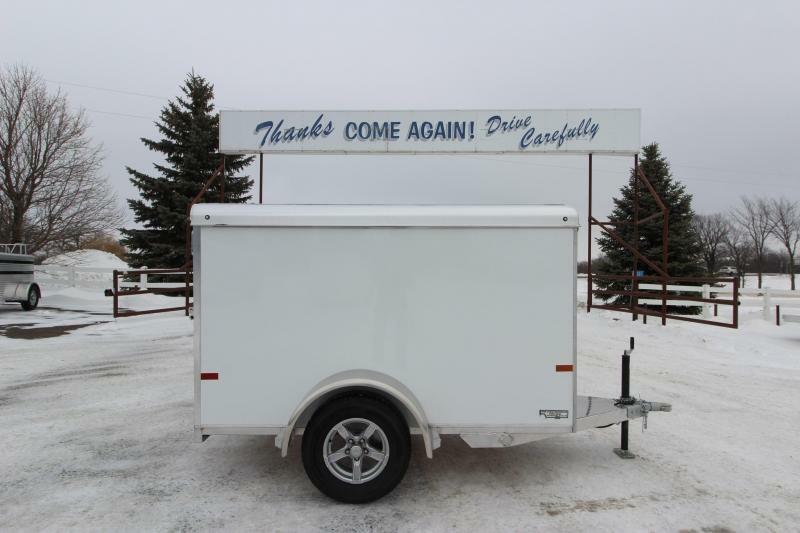 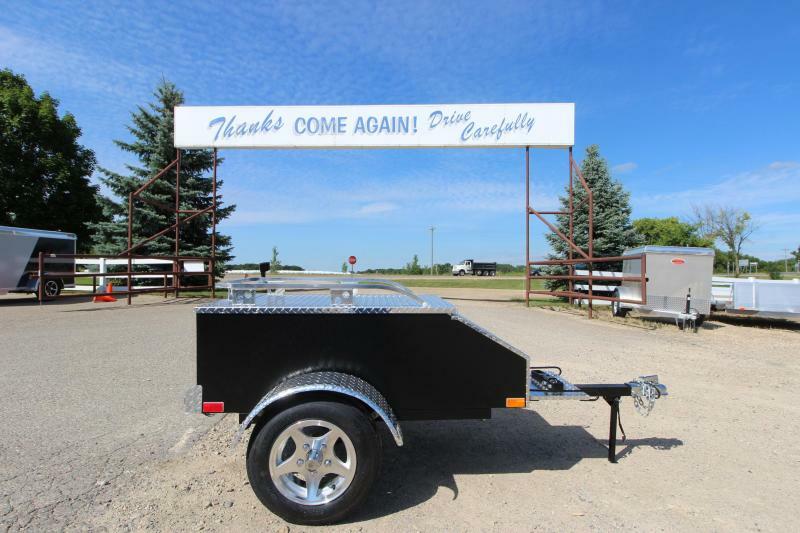 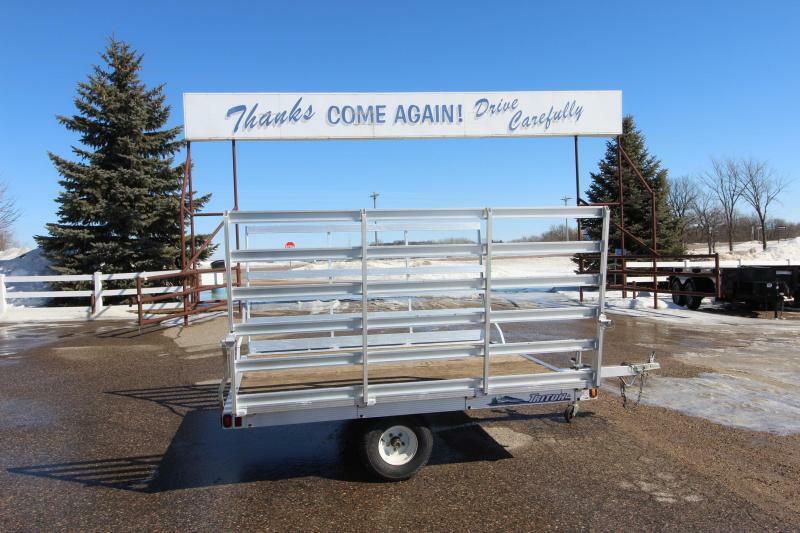 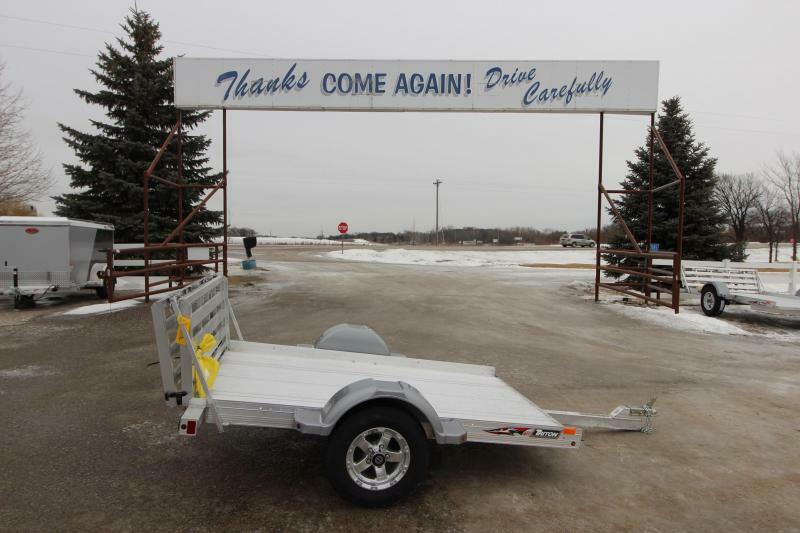 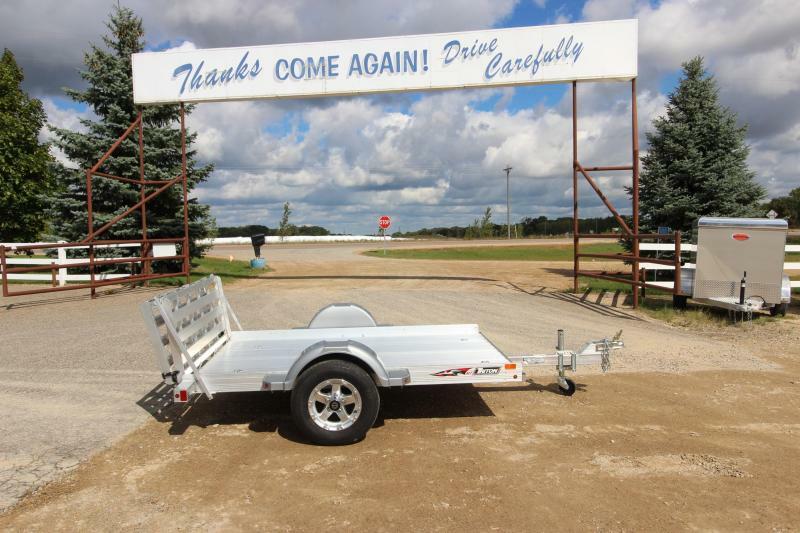 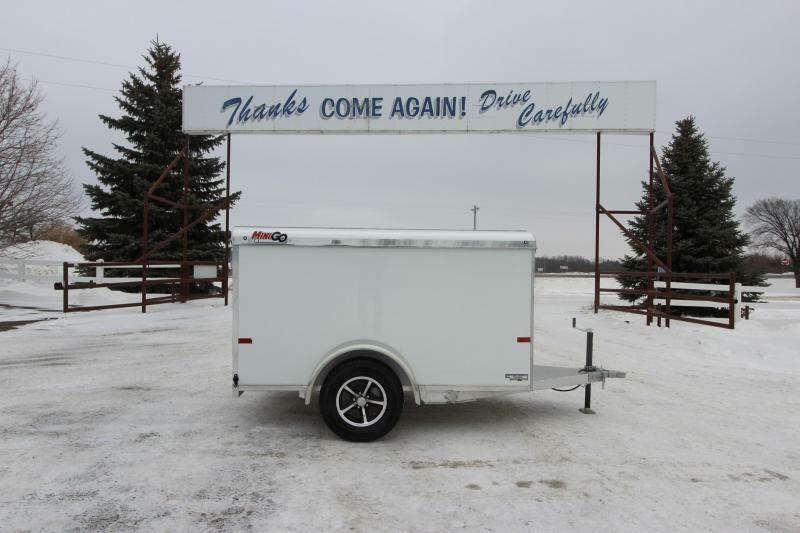 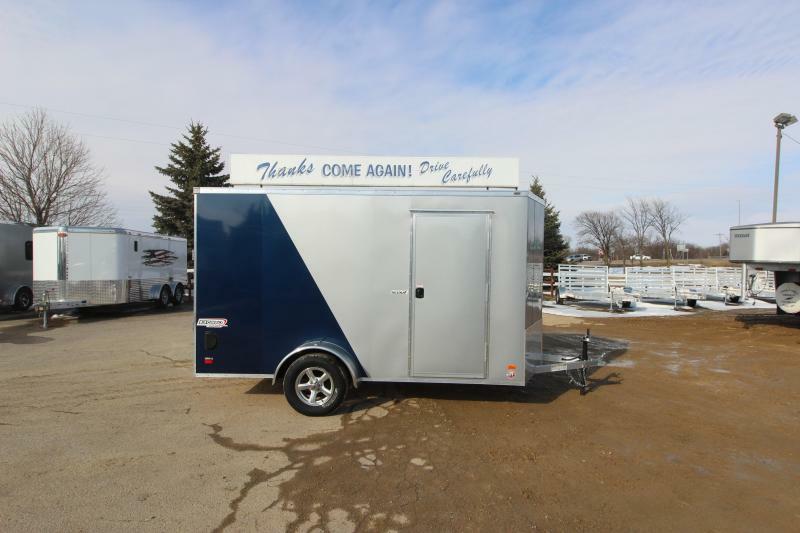 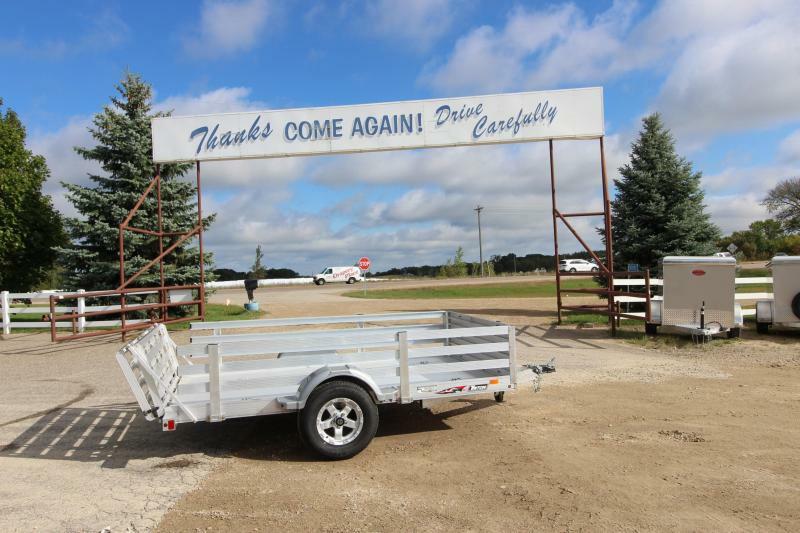 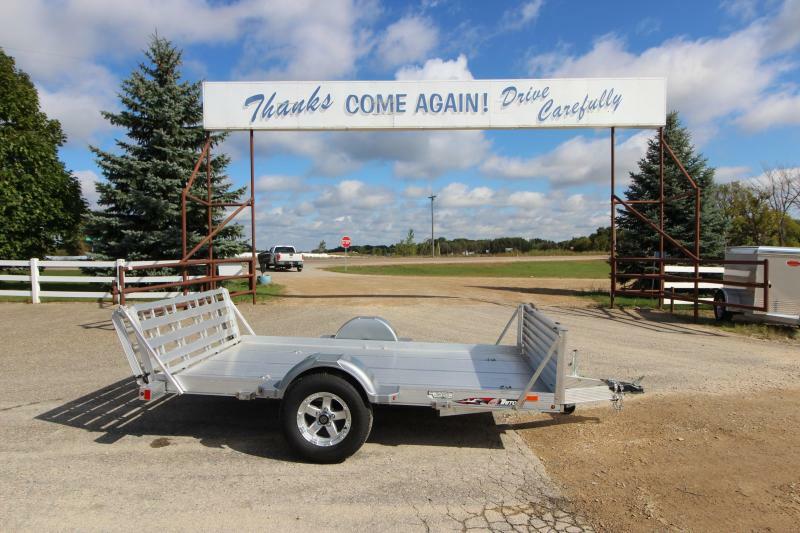 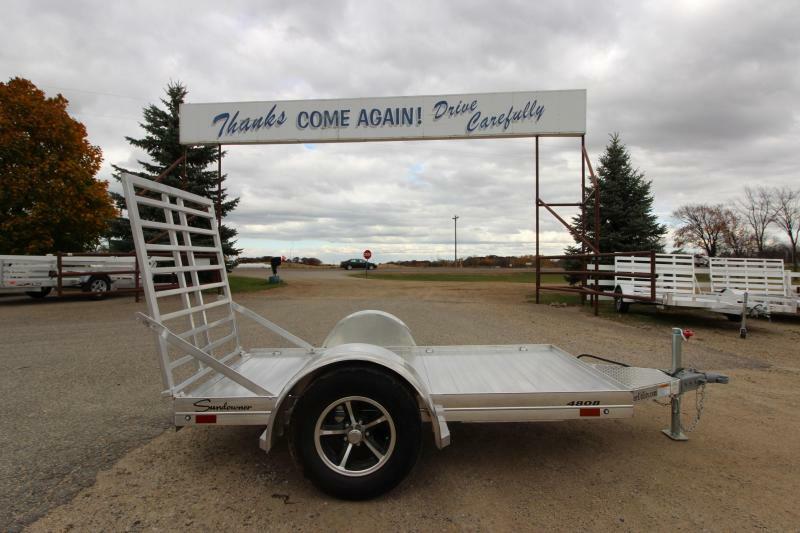 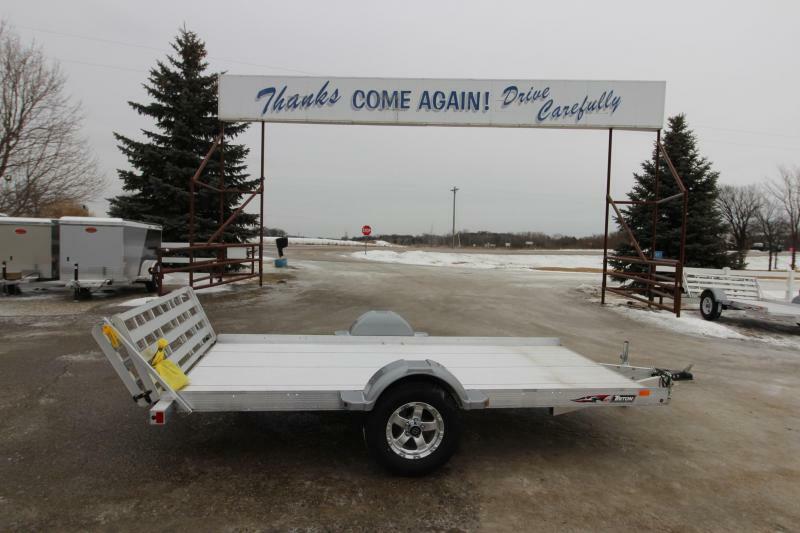 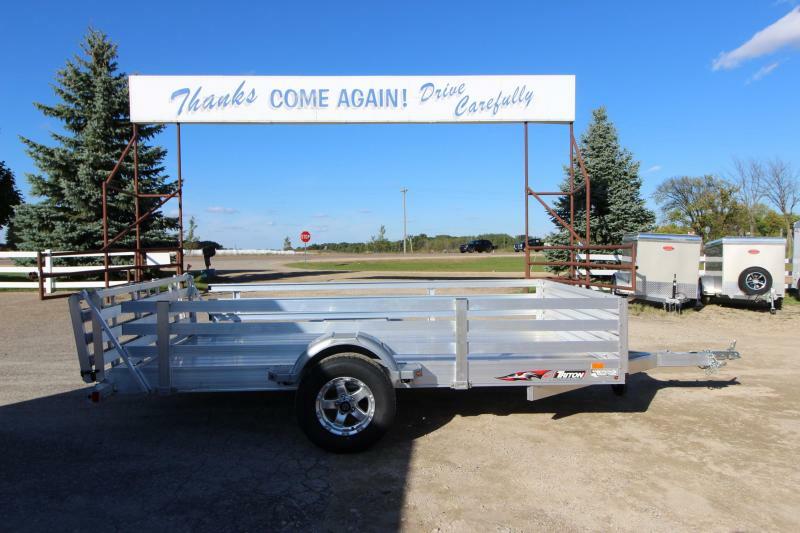 4x6 mini go BP, all aluminum, Norbord wood floor, .050 smooth skin, insulated and felt board lined walls, one piece aluminum pop up roof with gas shocks, polished top rails, 2,000lb torsion ride axle, aluminum rims, rear swing door, 4 tie rings, front gravel guard.